MANILA (Mindanao Examiner / Oct. 13, 2011) – Villagers from the island of Tablas in Romblon province praised the withdrawal of the proposed exploration activities of a Canadian mining firm, and locals vowed to protect their area from future mining exploration, according to the environmental group Alyansa Tigil Mina. It said the mining firm Ivanhoe Philippines, a subsidiary of Canada-based Ivanhoe Mines, cited low priority exploration target in withdrawing its applications with the Mines and Geosciences Bureau (MGB). Leo Deiparine, the firm’s president, in a letter sent to the MGB, said there was a consensus decision by the company to withdraw its applications based on Tablas as a low priority exploration target, and the strong opposition of local politicians for the approval of the applications, according to Alyansa Tigil Mina. 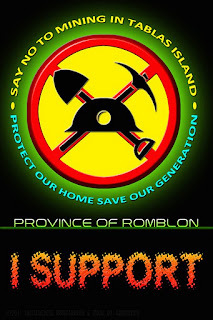 Romblon Congressman Eleandro Jesus Madrona also welcomed Ivanhoe’s decision to cancel its planned exploration in the province. right of our people to a balanced and healthy ecology,” he said. Firmalo earlier issued Executive Order No. 1 imposing an indefinite ban on metallic mining in the province. 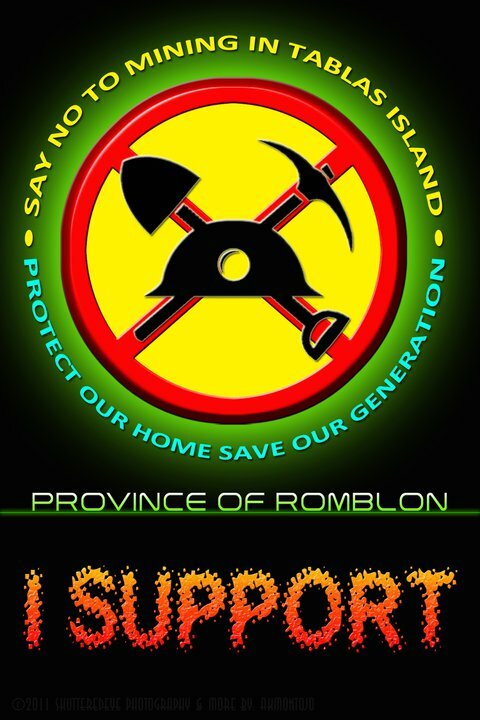 The Romblon Ecumenical Forum against Mining also called for the scrapping of the Mining Act of 1995 and the passage of a new mining law to rationalize the minerals industry, protect and promote human rights and establish so-called “no-go zones” based on alternative minerals management bills now in Congress.